FestEVOL part two picks up where the excellent first day left off, Getintothis gives you the stage times for the sequel to one of Liverpool’s best days of music in 2013. If you’re feeling those post-FestEVOL blues already, then fear no more because the second full day of festivities is but five days away. Once again the Kazimier and it’s beautiful Garden will become almost utopian; jostling, well-oiled crowds entranced by fine music and top drawer street food. Those of you unable to make last Saturday’s excellent showcase of the best talent this city and beyond has to offer, then now is the chance to redeem yourself. Before you start turning into one of pavlov’s dogs with this weekend’s line-up, check our comprehensive review of last weekend’s action and the visual treat of our accompanying picture gallery. For a comprehensive look at who’s playing this weekend’s FestEVOL, check out our guide here. FestEVOL is priced £10 in advance or £15 on the door but our advice is to hurry up and secure yours before they sell out. Bird have been added to Saturday’s bill. The band are currently in the studio working on their debut album, and have dropped a delectable wee offering of their output this week. Take a look below. They do like their churchyards. For an introduction to each band click on their name in the billing below. The Fire Beneath The Sea: 2am. Things Getintothis learnt from FestEVOL 2012. FestEVOL Part One feat Wicked Whispers, Edgar Summertyme, Folks, Silent Sleep, Lovecraft, The Sundowners, Dirty Rivers and more: The Kazimier, Liverpool. 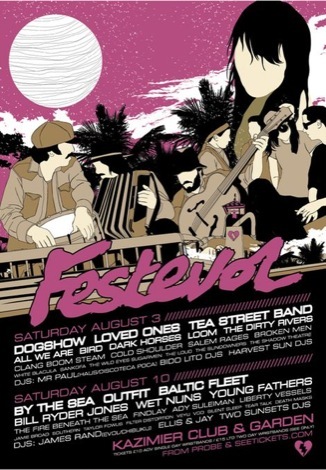 FestEVOL Part One feat Clinic, Death At Sea, Oxygen Thieves and more: The Kazimier, Liverpool. FestEVOL Part Two feat Baltic Fleet, Tea Street Band, Thunderbird Gerard, Outfit, Sun Drums, PINS and more: Kazimier, Liverpool. Getintothis FestEVOL picture gallery part one. Getintothis FestEVOL picture gallery part two. 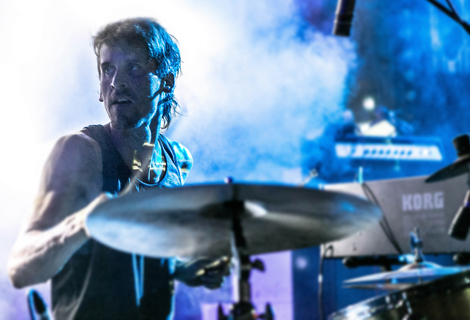 Getintothis talks to Steve ‘Revo’ Miller.